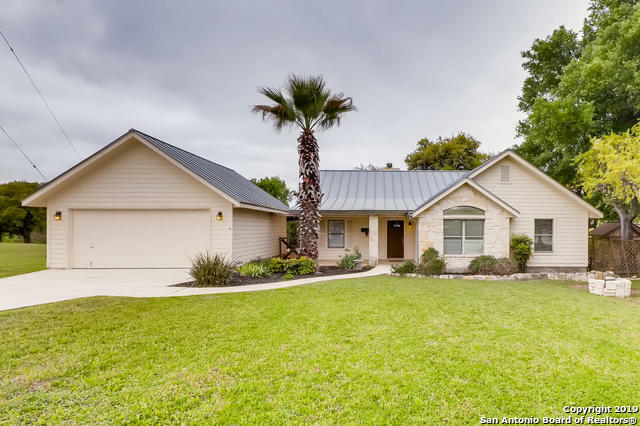 All RIVERMONT homes currently listed for sale in Spring Branch as of 04/18/2019 are shown below. You can change the search criteria at any time by pressing the 'Change Search' button below. 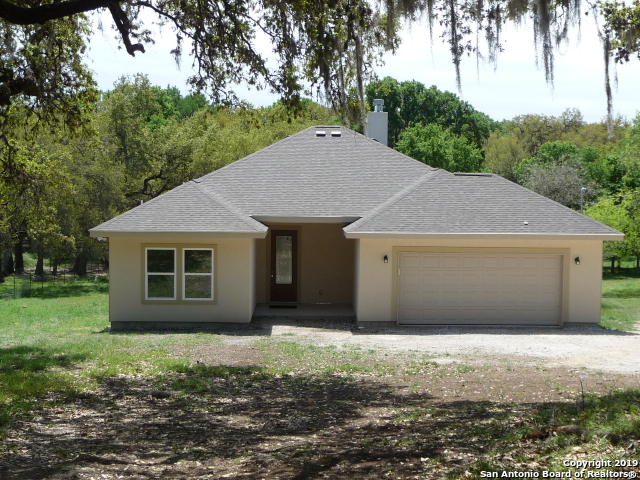 "HILL COUNTRY HAVEN / RIVER FRONT PROPERTY - ON THE GUADALUPE RIVER. Beautiful home sits well above river. Finishes include stained concrete floors and granite counters. Large covered patio and wrap around deck for outdoor entertaining.with breathtaking views overlooking the river below and hill country beyond. All on 1.4 acres. 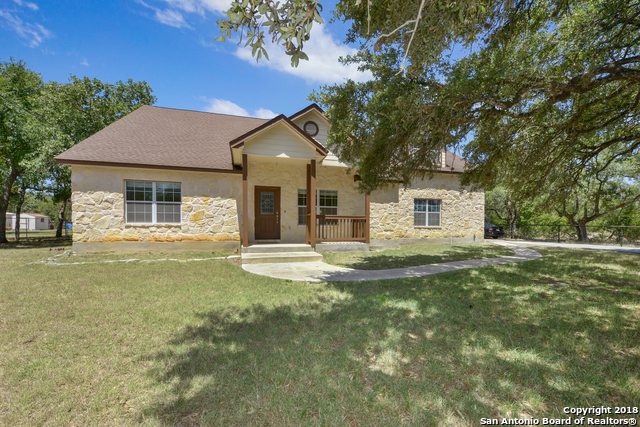 Secluded yet convenient to Hwy 281. Gated entrance to Rivermont Park is in walking distance. View the virtual tour for aerial video of the property." "Beautiful home with all the bells and whistles. Granite counters in kitchen and bathrooms, separate vanities and 2 walk in shower in master, huge closet . Beautiful custom built wood kitchen cabinets. HOME WILL HAVE GREY CABINETS AND WHITE SUBWAY TILE BACKSPLASH. GREY TILE TROUGH OUT THE HOUSE. 4th bedroom can be a study or second master!" "CALLING ALL NATURE LOVERS! This beautifully maintained home is your dream come true! This 1 owner home brings the beauty of the outdoors in at every turn! Nestled on almost 2 acres, surrounded by mature oaks, fruit trees, herbs and flowers galore! Green house, chicken coop and much more! Perfect for entertainers with a large island kitchen open to great room w/ wood burning FP. 2 large decks to gather friends & family or just sit & unwind while gazing at the stars! Access to a private river park"
"Spacious 2 story home with open for plan and high ceilings. Kitchen features granite counter tops. kitchen opens up to living room. There is a large game room up stairs with a full bath that could be used has a 4th bedroom. There is multiple storage closets up stairs. Enough room to store everything. The backyard is large enough for everything you want to do. Bring your buyers!!" "Neighborhood Amenities; waterfront access, pool, tennis, clubhouse, park/playground, jogging trails, lake/river park, guarded access"
"This is a sophisticated home in a peaceful community featuring waterfront access, sports courts, tennis, & a pool among other amenities. Enjoy your privacy on this .51 acre lot and serenity sitting on the covered patio among nature. This spacious home is perfect for entertaining guests. It has been recently updated & prepared for a new owner.You'll enjoy dual living areas, a master retreat separated from the main living areas, and spacious secondary bedrooms.See neighborhood amenities:www.riverm"